The Canning River in Alaska’s Arctic National Wildlife Refuge, August 2015. A watchdog group is trying to obtain environmental impact statements on oil drilling in the pristine refuge. Photo: U.S. Fish and Wildlife Service/Katrina Liebich, Flickr Creative Commons. Click to enlarge. 5. Want Army PFAS Docs? That’ll Be $290,400, Please. The Society of Environmental Journalists has joined with other journalism groups in supporting two lawsuits aimed at protecting the public’s right to know. Led by the Reporters Committee for Freedom of the Press, the groups filed “amicus” (friend of the court) briefs in two separate suits. In an amicus brief, groups who are not parties to a lawsuit can submit arguments on how the court should decide it. In one of the cases, SEJ joined a coalition of 41 journalism groups urging a federal appeals court to uphold dismissal of a defamation case against the New York Times. The case involved a 2017 Times article (may require subscription) examining allegations that a prominent cancer researcher, Dr. Carlo Croce, had falsified data. The groups argued that the Times piece had been fair and that journalists needed legal protections when covering matters of public concern such as scientific integrity. The other case, now before the U.S. Supreme Court, involves the interpretation of the Freedom of Information Act’s “trade secrets” exemption — something environmental reporters run up against frequently. In the case, Food Media Institute v. Argus Leader, the Food Media Institute claims an expansive interpretation of trade secrets, amounting to any undisclosed information which could harm it. The Sioux Falls Argus Leader and the media coalition argue that this interpretation is so broad as to be dangerous to the public interest. The newspaper is seeking store-level food-stamp redemption data, saying the public has a right to know how federal money is spent. During the current administration, there have been so many threats to, or assaults on, press freedom, that you need a database to track them. Enter the Press Freedom Tracker. This project, searchable and online, compiles incidents like the one on May 22, 2018, when a security guard at a headquarters press conference at the U.S. Environmental Protection Agency physically shoved Associated Press reporter Ellen Knickmeyer out the door. Other reporters were at the event, but the AP had not been invited because EPA’s press office was mad at them for some accurate but unflattering coverage. The U.S. Press Freedom Tracker is a collaboration of some 20 journalism groups, including SEJ. It is operated and led by the Freedom of the Press Foundation and the Committee to Protect Journalists. Now, after some 18 months, the tracker is getting an upgrade. That includes new funding (Craig Newmark Philanthropies and Open Society Foundations) and a new staff hire, and mapping capability. Now you will be able to see graphically just where all the unexploded pipe bombs were mailed to. You can submit your own incident report to the Tracker here. If you want to know the environmental impacts of oil drilling on the Arctic National Wildlife Refuge, don’t expect to find out from the U.S. Fish and Wildlife Service, or FWS. But you might get documents on this, leaked, from a watchdog. The advocacy group Public Employees for Environmental Responsibility, or PEER, asked for the environmental impact statements under the Freedom of Information Act and was refused by FWS. Then PEER got them, leaked, published them and asked the Interior Department inspector general to investigate why they were being concealed. 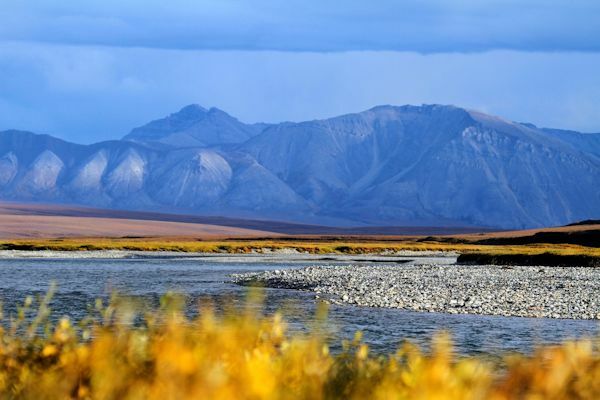 The Trump administration, the oil industry and many Alaskan politicians are in a hurry to drill ANWR. Environmentalists and some native groups fear damage to the pristine area. Interior Department officials deny that they are suppressing the information and say they are still working on fulfilling PEER’s request. Acting Interior Secretary David Bernhardt, who is often referred to in news headlines as a “former lobbyist” (may require subscription), is coming under scrutiny these days as a campaign in the Senate to confirm him as a permanent appointment nears the decision point. his former role as a lobbyist. One issue is whether Bernhardt’s lobbyist role is indeed “former.” Many of his 26 former clients still have matters before the agency, and Bernhardt has to carry a card to keep track of all his ethics recusals. Stories have emerged of him meeting with people in his former orbit. Not only do reporters want to know who he is meeting with, but so do conservation groups, members of Congress and Democratic presidential candidates like Elizabeth Warren. Now the advocacy group CREW (Citizens for Responsibility and Ethics in Washington) has filed a FOIA request for all the records of his communications with some people in his former lobbying orbit. This is all stuff we can expect to come up in Bernhardt’s confirmation hearing before the Senate Energy Committee — which Democrats are trying to delay until they get still-undisclosed information about the Interior Department’s offshore drilling plan. The Army wanted to charge an environmental group almost $300,000 for data on how Army facilities may have polluted people’s drinking water. That cost bar was so high that it was tantamount to keeping secret some disturbing facts the public has a right to know under FOIA. AP reporter Ellen Knickmeyer wrote March 20 about the Army’s demand for a FOIA search fee for records sought by the Environmental Working Group. EWG was seeking records on around 154 Army facilities regarding contamination of water by the toxic chemical family known as PFAS. The Army initially refused to waive the fee, even though FOIA requires agencies to waive search fees for news media and nonprofits which are trying to disseminate information that is in the public interest. EWG publishes a database of sites where water is contaminated by PFAS — a resource that can be used by journalists. As of March 25, though, EWG reports that the Army finally did agree to waive the fee.